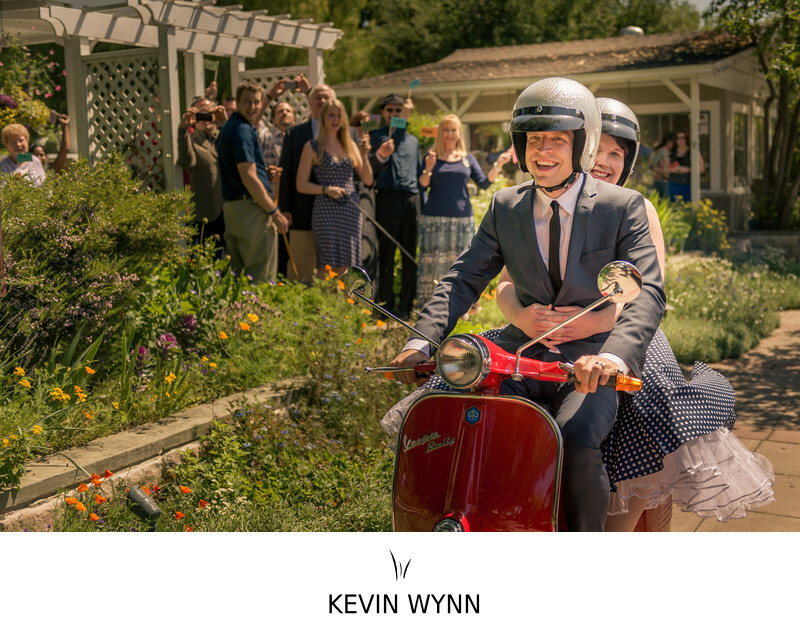 The bride and groom love their Vespas so of course they said goodbyes riding away from the Lavender Inn in Ojai on their bright red Vespa. Location: 210 E Matilija St, Ojai, CA 93023. Keywords: Lavender Inn (15), Ojai (99), Post Ceremony (3).